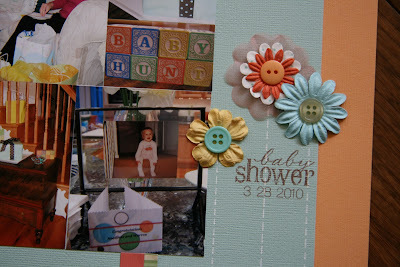 Photos from the surprise baby shower my cousin Nikki threw for me. All of my Maryland family attended and it was wonderful! This layout is made on 8×8 inch paper. This layout was designed from a Sketch Support sketch. Please visit the site to see more great inspirational projects!